Trump on the servers, and Adam Fisher on Silicon Valley. Trump tries to deflect questions about Russian election interference by bringing up the servers again. 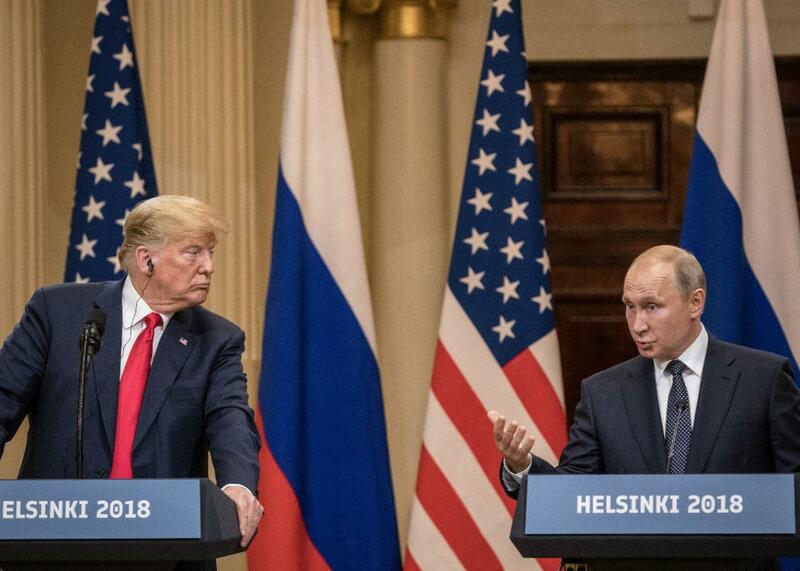 U.S. President Donald Trump and Russian President Vladimir Putin answer questions during a joint press conference after their summit on Monday in Helsinki, Finland. On The Gist, Trump’s press conference with Putin and the red herrings involved. Silicon Valley is steeped in self-made mythology, with stories about giants like Mark Zuckerberg, Steve Jobs, and Marissa Mayer. But how did Silicon Valley really come into being? Adam Fisher, whose new book is Valley of Genius: The Uncensored History of Silicon Valley, joins us to discuss where it all started—and the valley’s potential future. In the Spiel, how journalists should respond to criticisms of the media and how they should hold talk show guests accountable.